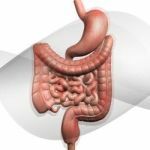 (BeWellBuzz) Ever wondered why some people are blessed with an excellent digestive system, why some of us seem to gain weight even if we think we eat moderate and right? 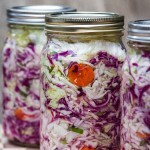 Well, the answer here lies in the health of your gut flora. 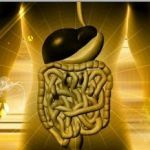 Before we go any further and see how you can bring out the best of your gut flora for a healthy body, first let’s take a quick look at what this concept is all about. Fat absorption – How does it matter? 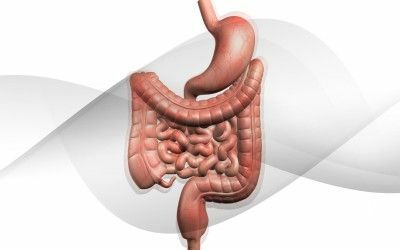 Recent research points towards a strong possibility of your gut bacteria or flora having the ability to absorb more calories from diet and thus, have a direct link with obesity. In fact, Firmicutes, the particular bacteria quite active in influencing fat absorption, is also found in large quantities in the gut of obese individuals. Another fact that deserves attention here is that some of the bacteria in your gut might have unique social structures. Owing to this, these bacteria have the power to produce chemical compounds which can further attack or prevent the growth of other beneficial bacteria and in the process, leave those disease-causing microbes unharmed which are immune to any medication or supplements. So, where does all of this analysis lead to? Well, it leads to the clear finding that by making certain potent changes to your diet and lifestyle, we can actually alter the behavior of the microorganisms in our intestinal system, more specifically the digestive tract. Well, it also implies that we can surely take charge of our bacterial profile, influence how the bacteria in our gut absorb nutrients and fat and finally, be able to prevent, control and handle obesity. On the contrary, we can also make an attempt to enhance the fat absorption in case of malnutrition by bring about such alterations. Read on as we lay down 5 specific ways in which you can bring your gut flora into its best state of health. Your diet happens to be the key reason why your gut flora could damage and also be the cure for it. There are specific bacteria in your microbiome which respond to specific types of food and can create complications. For instance, Prevotella bacteria gets more activated when you have a diet rich in carbohydrates and simple sugars. Similarly, the Bacteroides enterotypes are related to animal proteins, amino acids and saturated fats, thereby explaining the importance of diet in maintaining a healthy gut flora. Research points towards the immensely powerful impact of fermented raw milk in protecting the natural balance of your gut flora. Forms of milk such as kefir and yogurt have especially been noted for their ability in this context. Moreover, lassi, a traditional Indian yogurt drink is considered effective as well. Prolonged or frequent use of antibiotics such as amoxicillin can easily cause an imbalance in the natural setup of your gut flora. Try to stay away from those as much as possible. There are many items that we use daily that can carry harmful ingredients that can cause a potential damage to your gut flora. For instance, things such as antibacterial soaps and chlorinated water might disturb the natural balance of the microorganisms in your intestinal systems and might cause illnesses in the long run. Moreover, factors like pollution and exposure to traces of antibiotics used in food production and water can also disrupt the natural balance. Research shows fluoroquiolones, a popular form of antibiotics to be one of the most hazardous drugs having a potential to substantially damage your gut flora. So make sure to include probiotics, fermented foods and a natural source of digestive enzymes to ensure the best digestive health you can possibly have.